Does your marketing engine need a tune up? 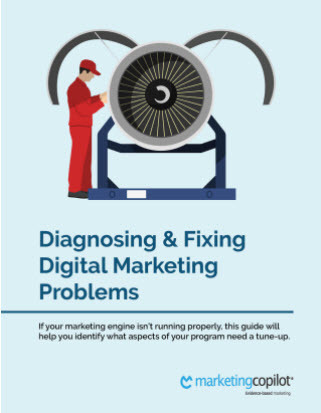 If your marketing engine isn’t running properly, this guide will help you identify what aspects of your program need a tune-up. Many of our clients come to us after spending money on a new website or Google AdWords, which were expensive and ineffective. Diagnose your digital marketing problems. Discover where your opportunities for improvement are. Determine the next steps to accomplish your goals.